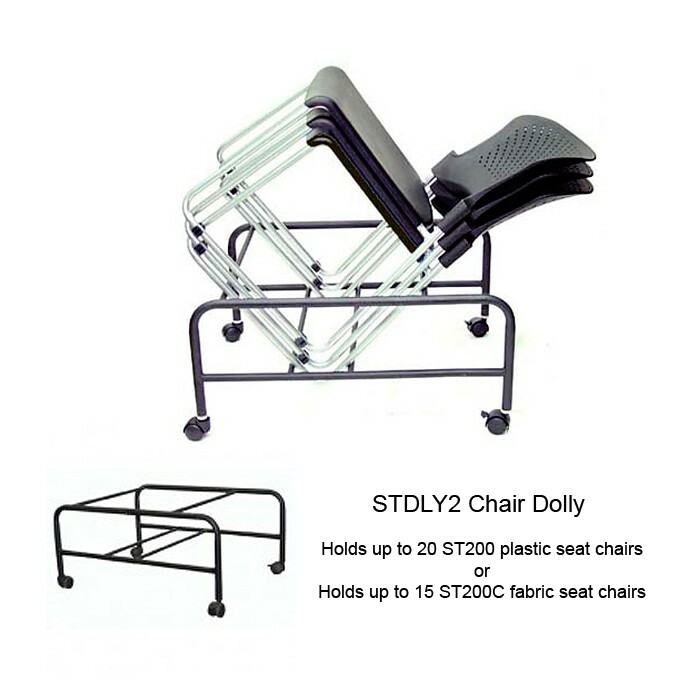 Office Master STDLY2 Stacking Guest Chair Dolly STDLY2 Stacking Chair Dolly (black with rubber casters) Stacks up to 20 ST200 chairsand 15 ST200C chairs.Features Lockable casters. Black Steel frame. Stacks up to 20 ST200 chairs. Stacks up to 12 ST200C chairs. 7 year limited warranty. 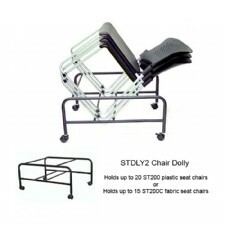 STDLY2 Stacking Chair Dolly (black with rubber casters) Stacks up to 20 ST200 chairsand 15 ST200C chairs. Stacks up to 20 ST200 chairs. Stacks up to 12 ST200C chairs.